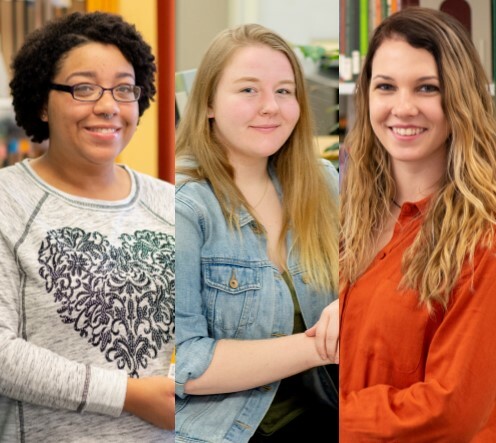 Shantel Jacobs of Raeford, N.C., and Sarah Edwards of Newnan, G.A., were named Hunter Library’s outstanding student workers for the 2018-2019 academic year. Haylee McConnell of Lawndale, N.C., was nominated by her supervisors for WCU’s Student Worker of the Year award, a university-wide competition. The award winner has the opportunity to compete at regional and national levels. So proud of you Shantel. My Goddaughter is a true dream chaser! I love you and I will look forward to seeing you walk a across that stage in May.